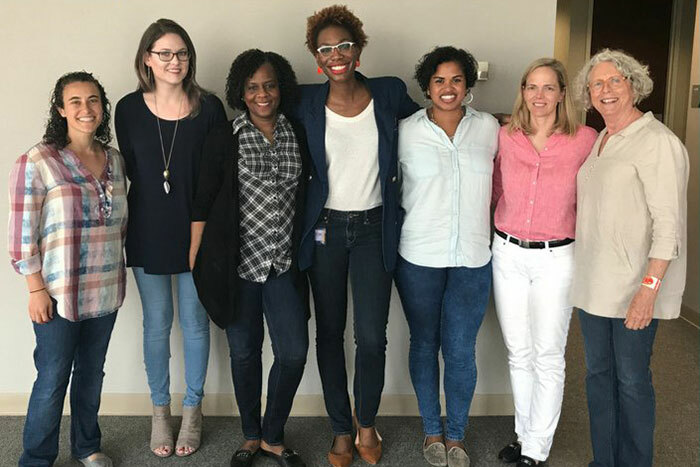 The Emory community observed Denim Day on April 19, wearing jeans and other denim clothing to show support for survivors of sexual assault. 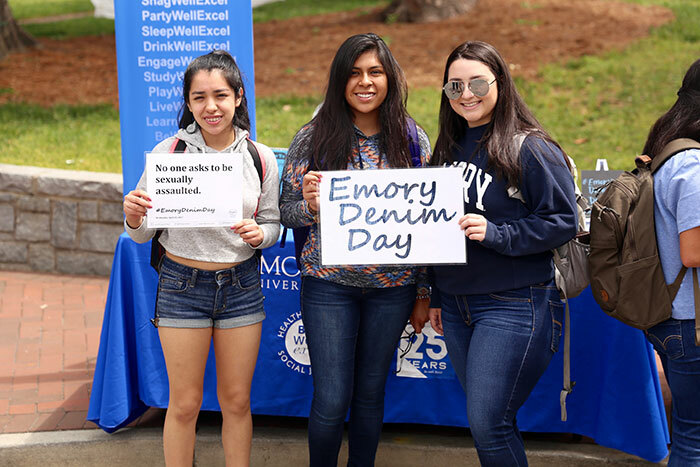 The Respect Program hosted Denim Day tables at Wonderful Wednesday and other campus locations and also encouraged participants to post photos on social media with #EmoryDenimDay. Candler School of Theology and Pitts Theology Library staff pose on Denim Day. 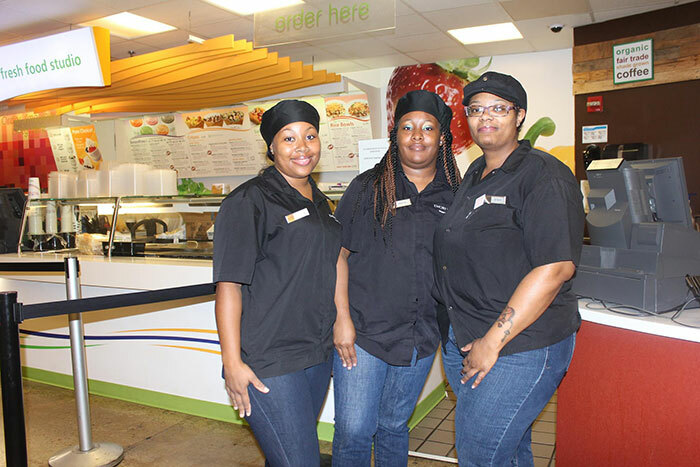 Emory Dining staff donned their denim in support. 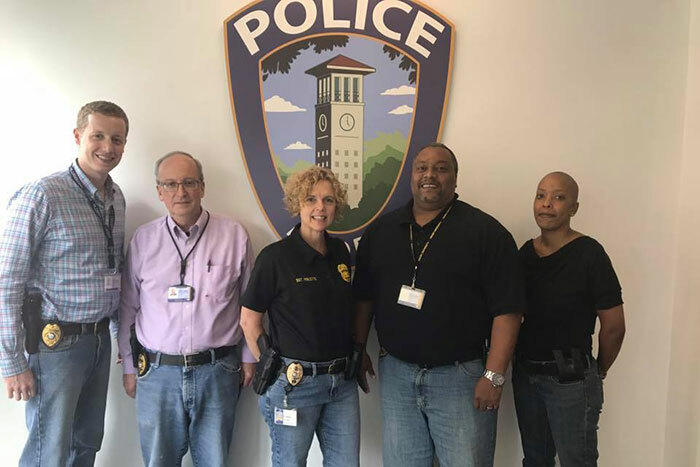 The Emory Police Department also turned out in denim on April 19. 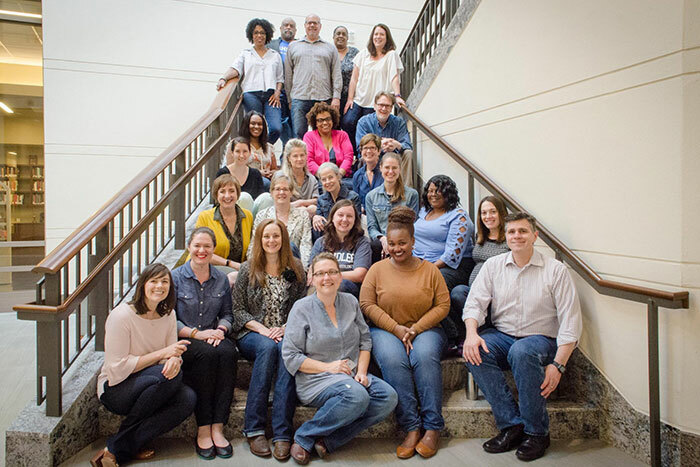 The Emory Global Health Institute, International Association of National Public Health Institutes and the Child Health and Mortality Prevention Surveillance Network show their support for Denim Day. 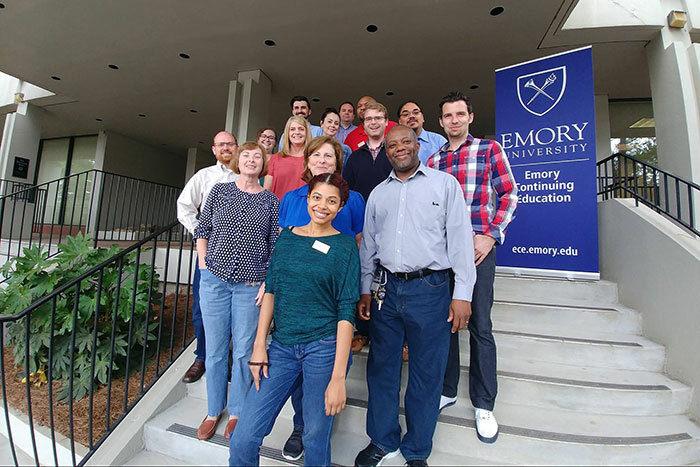 Emory Continuing Education staffers pose in their jeans on Denim Day. The Office of Health Promotions even got this adorable puppy from Refuge Rescue to pose with their stuffed mascot, OHPotter, at Wonderful Wednesday. 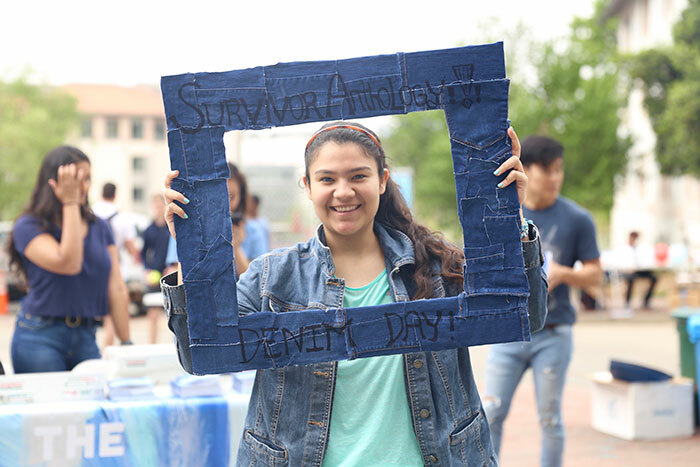 The Emory community observed Denim Day on April 19, wearing jeans and other denim clothing to show support for survivors of sexual assault and the overall goal of ending interpersonal violence. Emory Healthcare workers who have to wear scrubs to work also got into the spirit of the day, donning special denim buttons to participate. 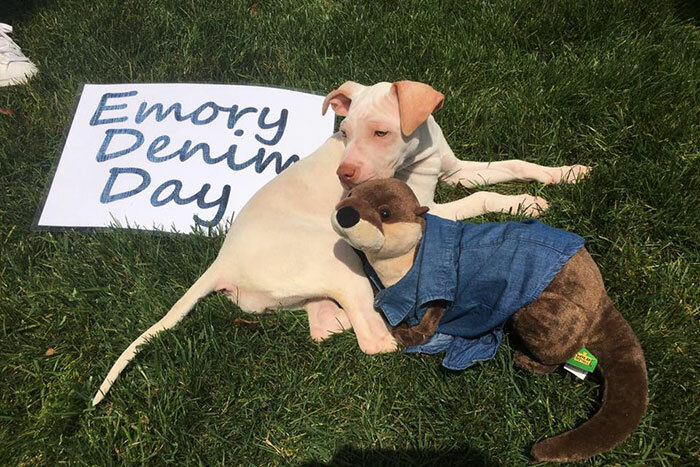 Denim Day is an initiative of Emory's Respect Program, which serves as a central hub for sexual and relationship violence prevention programs on campus. The Respect Program hosted Denim Day tables at Wonderful Wednesday and other campus locations and also encouraged participants to post photos on social media with #EmoryDenimDay. The Emory event is part of a national campaign sponsored by Peace Over Violence. Emory's campus commemoration was supported by a variety of groups representing students, faculty and staff. It was sponsored by the SGA and Emory Graduate Student Government Association and organized by the Respect Program in partnership with Emory Healthcare, Sexual Assault Peer Advocates, the Intimate Partner Violence Working Group and the Faculty Staff Assistance Program.